Honor Magic 2 was shown at the end of October . Two days ago, as promised, it began selling in China. The device quickly sold out on the trunk, which the manufacturer later confirmed in Weibo. The phone was met with great interest, which should not be surprising. 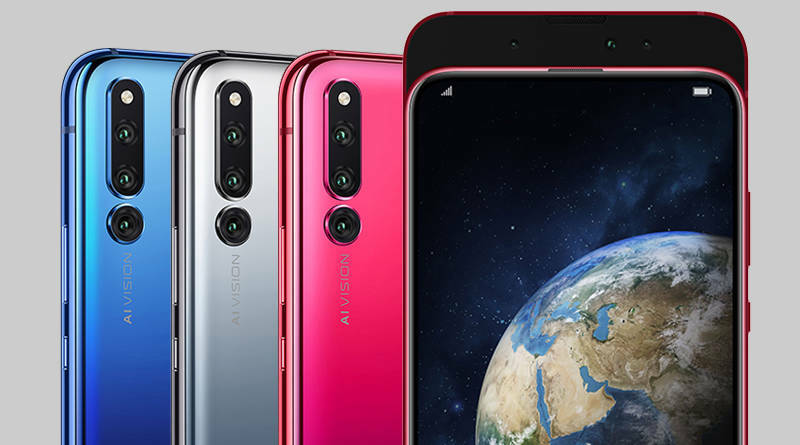 Honor Magic 2 is a sliding flagship with up to six lenses. This can be described in the shortest sentence in one sentence. The phone is quite similar to the model Xiaomi Mi Mix 3. However, it has a more powerful HiSilicon Kirin 980 processor and a fingerprint reader on the screen, which on the phone from Xiaomi ran out. 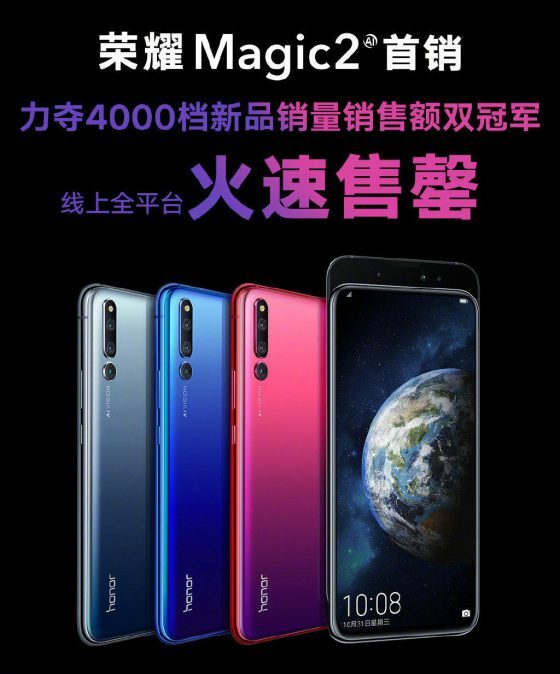 Honor Magic 2 is a little more expensive than the model from Xiaomi. For the basic version of the phone you need to pay 3799 yuan (about 2100 zlotys), and models with 8 GB RAM cost 4299 yuan and 4799 yuan (about 2360 and 2640 zlotys). For now, it is not known when this device will go to Europe. For now, you can only buy it in China. 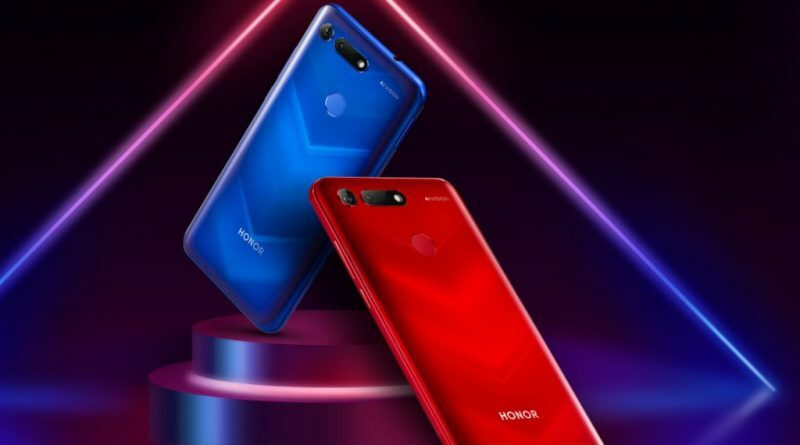 The technical specifications of the Honor Magic 2 smartphone can be found below.